Scope: Renovation and historic preservation of an existing 38,100 sq. ft, 4 story, plus basement of 8,770 sq. ft, wood and masonry residential building to construct a total of 45 studio and one bedroom dwelling units and limited renovation of first floor commercial spaces. Demolition of a one-story structure adjacent to the existing building and construction of a new four story 21,000 sq. 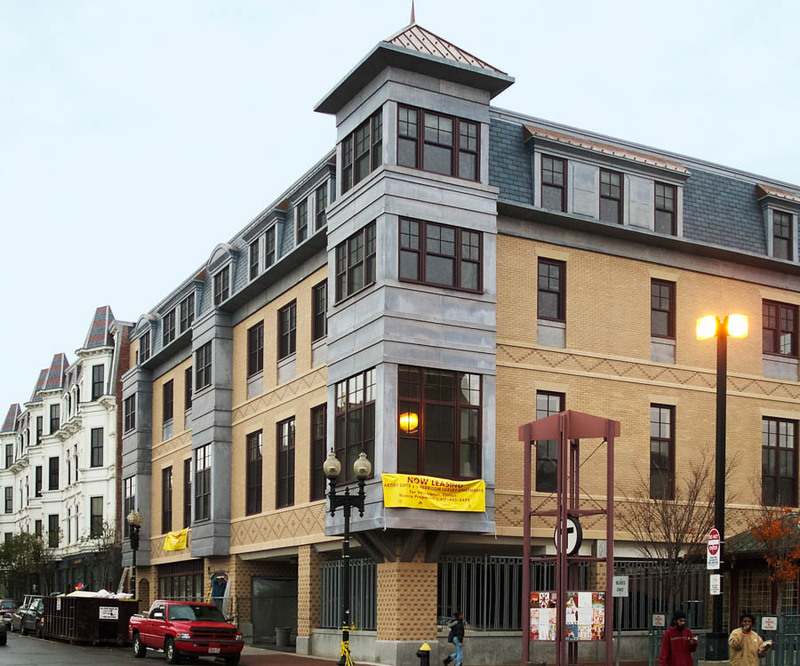 ft, steel and wood masonry frame addition consisting of 20 dwelling units (including artists lofts) and ground floor commercial spaces..
“Built in the 1860s, the Dartmouth Hotel had seen its 2-4th floors remain vacant since the 1970s. Our task, in a joint venture with Crosswinds Enterprises, was to bring this historic property back to life. Like many others, this project required us to work in a busy, densely populated urban corner, but this time with an adjacent MBTA bus terminal land-locking it on two sides. The construction schedule proved very challenging as the structural work had to be done while minimizing down time to several retail businesses on the ground floor. Each retail space had to be renovated separately and closed for a very minimum period of time to ensure that they did not lose business. The retail spaces required much more work than originally specified because of latent conditions that could not be observed until major amounts of equipment and refrigeration units were removed during construction. The exterior facade of the building required extensive marble restoration and masonry work to bring back the original historic features of the building. The wood trim was completely replaced to replicate the profiles installed in the 1860’s. The entrances were restored with new mahogany double doors and trim. The new addition was built to compliment the existing building with its own brick patterns, copper clad bays and mansard dormers giving it some of its own character. It also provided street level parking and additional retail space which is difficult to obtain in this bustling area. One of the main objectives of the owner was to provide work for local minority businesses and workers. In excess of 60% of the work was completed by MWBE subcontractors with 46% minority and 9% female worker hours on site. The restoration of this historic landmark structure is a key component to the revitalization of this entire area.